Most borrowers get funneled into a 10-year-repayment plan — but there are other options. Heading into the workforce saddled with student loan debt can make any new graduate panic. But many borrowers have the power to make their loan payments more manageable — and fail to take advantage of it. A new NerdWallet analysis puts the Class of 2018 in retirement at age 72 after years of careful budgeting, debt repayment and savings. The first 10 years of that long-term financial plan is spent siphoning a considerable amount into student loan payments, though the analysis indicates stretching that repayment term out could make saving for retirement and even their first home a little easier. Most student borrowers are in a 10-year repayment plan, which is a strong option for getting rid of their loans fast — if they can afford it. Just 39% of recent undergraduates who have student loan debt think it’s likely they’ll pay off their loans in a decade, according to a related online survey conducted by The Harris Poll. Their doubt is understandable — the NerdWallet analysis indicates new graduates with an average amount of loan debt would have payments of approximately $300 each month for 10 years. Higher-than-average student debt, additional debt burdens, unexpected financial blows, or a lower-paying first job out of school could make these payments unmanageable. 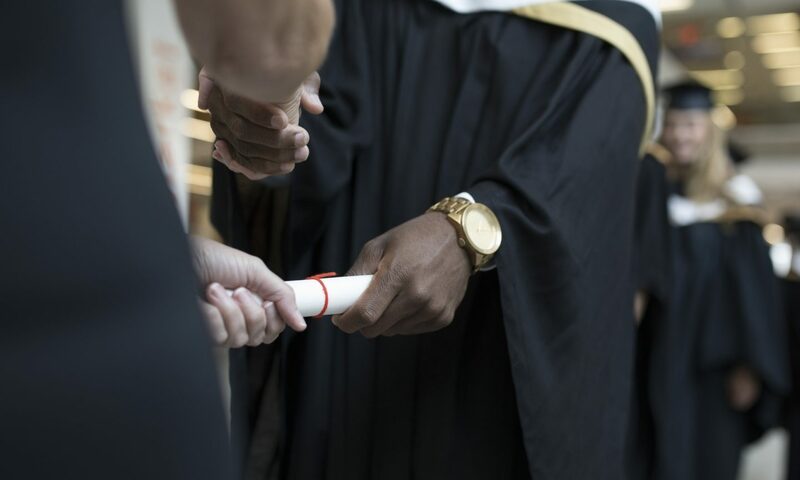 “It's up to grads to learn about what's available and advocate for themselves with their student loan servicers to get what they need,” McGurran says. Graduated repayment plan. Payments start lower and increase every two years with a graduated repayment plan, but the repayment term remains at 10 years total. This may be a good option if your ability to pay will increase as you move through the first several years of your career. Extended repayment plan. Moving into an extended repayment plan will stretch your loan payments out to 25 years. Your monthly responsibility will be lower, but you’ll pay more in interest during that time. Income-driven repayment. There are four income-driven repayment plans available for federal student loan borrowers. These cap your monthly payments at 10%-20% of your income, and extend the repayment term to 20 or 25 years. You’ll pay more in interest due to the longer term, and income-driven repayment plans require you to reapply each year. Consolidation. Federal student loan consolidation won’t likely lower your payments dramatically, but it can put multiple loans into a single payment. It’s also a good option if you’re in default and want to get your student debt back in good standing. Refinancing. Student loan refinancing can give you a lower interest rate and therefore lower payments, but it requires a credit score in the high 600s at least. Because refinancing makes you ineligible for income-driven repayment options in the future, this option is best for people with higher incomes.